Able Group are a 24-hour maintenance company, providing professional services for homes and businesses including plumbing, drainage, heating and locksmiths. 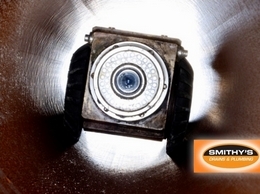 The nationwide team of engineers are fully qualified and trained professionals. 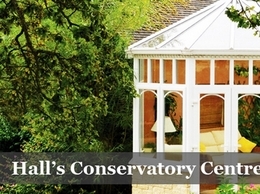 Hall's Conservatory Centre is not one of your standard companies which do a bit of everything, we specialise in new conservatories, orangery systems and replacement conservatory roofs. We also offer magnetic blinds that are fitted inside your sealed units before installation. All our staff including fitters and surveyors have obtained many years of experience, which was gained mainly working for the old BAC Ltd, which was solvent for over 30 years. Hall's Conservatory Centre was established at the beginning of 2003 and we pride ourselves at offering only the better end of the market products, but being local and a family business, based in Basildon, we do this with good value for your money in mind. Rutland Gutter Supply is family owned company with over 40 years of experience in building construction and metal fabrication. Rutland Gutter, located in beautiful Orlando, Florida, will ship their products throughout the U.S.A.
Sheridan's a reliable professional tiler with years of experience and specialists in the fitting of high quality Ceramic, Porcelain & Natural Stone tiles. Blinds for Chelmsford and the surrounding areas. Harlow, Epping Forest, Brentwood, Basildon, Castle Point, Rochford, Maldon , Chelmsford, Braintree, Colchester, Tendring, Thurrock, Grays, Tiptree, Southend-on-Sea.